and parts promotions from American Coach. America has never once imported luxury in the form of a motor coach, simply because no one understands the pursuit of progress like the men and women of America. Here at American Coach, we’re especially proud of this luxury distinction. Innovation runs in our blood, craftsmanship streams through our pores and patriotism drives our all-American designs. Come discover our American story, one of innovation in a world of elite luxury. America’s freedom is calling. Let our luxury move you. 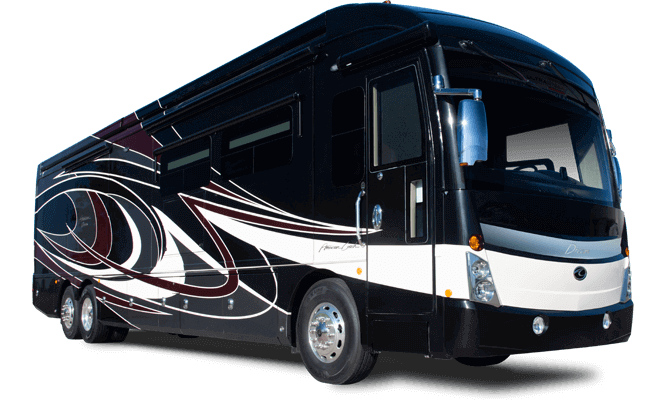 The progressive coach among Class A and Class B motorhomes, American Coach features a luxury lineup that sets the bar in modern motorhome design. Simply put, you won’t find a more contemporary motor coach. 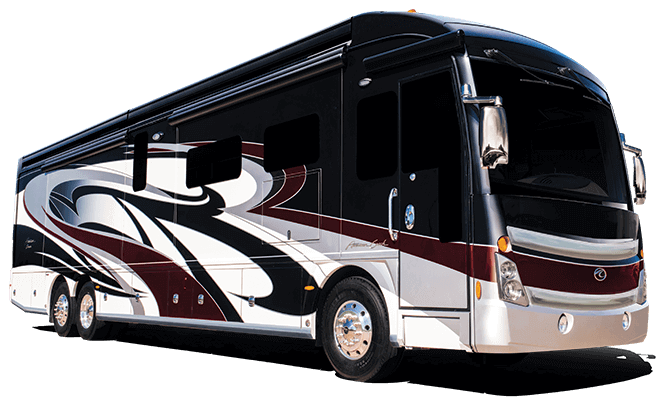 American Coach combines the sleek styling of a luxury car with the undeniable comforts of a luxury home. The result — the road never looked this good. 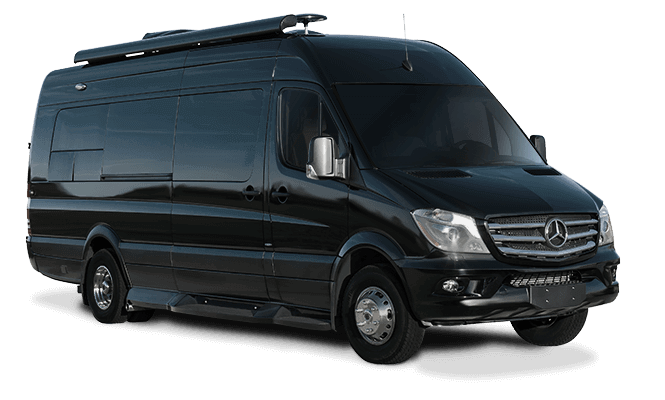 Discover the only motor coach considered synonymous with other American luxury brands. 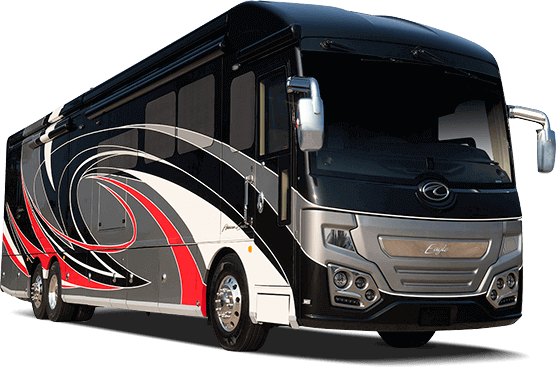 Only in America does luxury look like a 40-foot motor coach or an ultra-stylish touring coach, and it all stems from the hard-working men and women who pour their hearts and souls into this all-American product. It only takes one look at an American Coach to know luxury comes in many forms — meticulous craftsmanship, relentless innovation and impeccable styling. Our unwavering need to explore has always driven the American spirit, pushing us beyond the ocean, over mountains and to destinations we never imagined. Today, a myriad of open roads crisscross America, each beckoning to be traveled. Our “Soul of American Freedom” page will help take you on new adventures laced with American history. Let freedom inspire you. American Coach and its parent company REV Group are proud sponsors of Team Penske. Thanks to this momentous relationship, three-time Indy 500 winner Helio Castroneves and rising star Ryan Blaney roll to the track in their American Coach Eagle RVs, both of which are equipped with the luxurious Heritage Edition package. You can see Helio and Ryan, and many other Team Penske favorites, during the 2018 NASCAR XFINITY Series Races and various Verizon IndyCar Series races throughout the year.